Browse the titles on this page to find book recommendations your colleagues consider to be great reads. 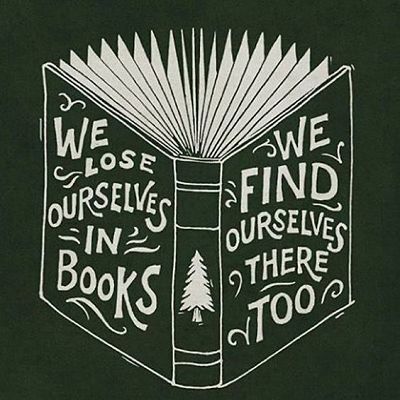 It's hard to pick the one book that had the biggest impact on your life. This is not necessarily your favorite book or the book you've reread the most, but the book that meant the most to you. Please fill out the short form below to recommend a book title you consider to be a great read; even better, share the reasons why you recommend it. Results will appear on this guide. Your favorite book or most influential book may become someone else's. Great Read Recommendations: Discover important books read by teachers, students and other members of the STLCC Community. During Professor Carol Hake's Underwood Lecture on August 15, 2018, she invited the STLCC community in attendance to share favorite book titles they recommend others read as well. Professor Hake distributed reproductions of catalog cards from the Library of Congress as note-cards to capture recommendations. Other STLCC community members are invited to fill out the form above to recommend their great reads. When books are owned by STLCC Libraries, the titles will be directly linked to the STLCC Library Catalog. During Professor Carol Hake's Underwood Lecture on August 15, 2018, she invited the STLCC community in attendance to share favorite book titles they recommend others read as well. Professor Hake distributed reproductions of catalog cards from the Library of Congress as note-cards to capture recommendations. Other STLCC community members are invited to fill out the form on this page to recommend their great reads. "Set in a small New England town during the Civil War years and Reconstruction, Little Women; or, Meg, Jo, Beth and Amy (1868-69) introduces Alcott's remarkable heroines, the March sisters, and above all her alter ego Jo March, with her literary ambition and independent spirit. The novel chronicles the episodes, large and small, of the sisters' progress toward adulthood: their amateur theatricals, sibling rivalries and reconciliations, friendships and romance, lessons about work and charity, and the loss of loved ones." Recommended by Elizabeth Perkins. Looks at the history of the Mississippi River Valley in the nineteenth century and the economy that developed there, powered by steam engines and slave labor. "When a man escapes from a biological testing facility, he sets in motion a deadly domino effect, spreading a mutated strain of the flu that will wipe out 99 percent of humanity within a few weeks. The survivors who remain are scared, bewildered, and in need of a leader. Two emerge--Mother Abagail, the benevolent 108-year-old woman who urges them to build a community in Boulder, Colorado; and Randall Flagg, the nefarious "Dark Man," who delights in chaos and violence." Recommended by Paul Huddleston, FV Radio Station: "I love the story of good vs. evil with the undertones of the end of humanity."